Strontium iodide, also called strontium diiodide, is a salt containing strontium and iodine [1, 2]. 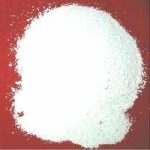 Being a water-soluble, deliquescent compound, it absorbs moisture from the atmosphere and becomes physically changed slightly . It produces strontium oxide and iodine when heated at high temperatures in the presence of air . 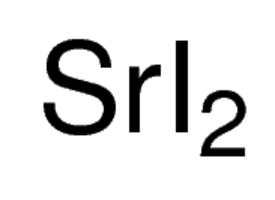 The molecular formula of its anhydrous form is I2Sr  while the linear formula is SrI2 . Its hexahydrate form has the chemical formula SrI2.6H2O . Strontium iodide has an orthorhombic crystal structure . Here we share some common physical properties of this ionic compound. Strontium iodide is odorless . It boils at a temperature of 1773 °C (2046 K, 3223 °F) [2, 4]. 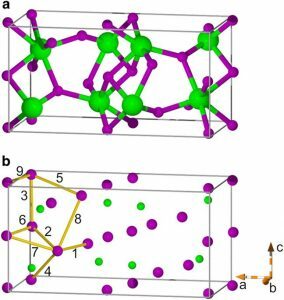 The density of its anhydrous form is 4.55 g/cm3, and its hexahydrate form is 4.40 g/cm3 [2, 4]. 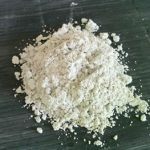 It is highly soluble in water at room temperature and sparingly soluble in ethanol, the solubility being 177 g/100 ml at 20 °C and 3.1 g/100 ml at 4 °C respectively . Its preparation involves the reaction of strontium carbonate (SrCO3) with hydroiodic acid (HI) . The strontium iodide produced can be easily identified because it becomes yellow upon its exposure to air . Because of its high density, atomic number, scintillation light yield, and optical clarity, Europium-doped SrI2 is used as a scintillator for detecting gamma radiation . Anhydrous strontium iodide is used as a replacement of potassium iodide in medicines . 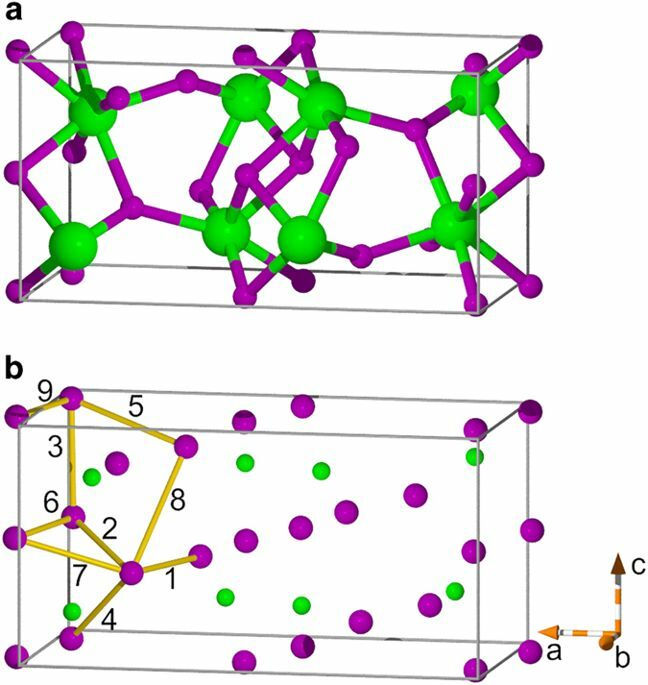 Large-diameter crystals of strontium iodide are now commercially grown with the vertical Bridgman technique [2, 7]. Although the toxicological properties of SrI2 have not been extensively studied, compounds of strontium are known to be slightly toxic . Prolonged exposure through inhalation may cause headache, tight chest, irritation of the nose and respiratory system, and lacrimation . If ingested, it may cause gastric irritation, diarrhea, abdominal pain, and burns to the mouth . Moreover, it may act as a strong irritant to the eye and skin, causing redness, black spots, boils, pimples, blisters, and hives . Ingestion: Seek medical attention immediately and avoid inducing vomiting . Inhalation: Remove the affected person to fresh air and keep him warm . The victim should be immediately taken to a medical practitioner . Eyes: Flush the victim’s eyes with lukewarm water for more than 15 minutes and seek emergency medical treatment . Skin: After removing the contaminated clothes, brush the material off skin and wash the affected area using mild soap and water . Quickly take the person to a doctor to avoid acute irritation . For breathing protection, a NIOSH-approved respirator should be worn . The compound should be kept in an inert gas, in a dry box, to avoid contact with moisture . Other protective equipment like an apron, lab coat, impervious gloves, and safety goggles are required for the safety of the skin and eyes . Hangzhou Dayangchem Co. Ltd., IBIS Chemie International, Amadis Chemical Co. Ltd., Chemos GmbH & Co. KG and Santa Cruz Biotechnology Inc. are some of the renowned suppliers of SrI2 in the world .